Being charged with DUI can shake you to your core. Your feelings of anxiety and embarrassment can make you want to hide away and even ignore the situation completely. Our attorneys at Reynolds Defense Firm understand what you are going through and will take the time to help you work through the human side of being arrested as well as with your legal case. Reynolds Defense Firm encourages you to seek the help of a legal professional, but not just any professional. We believe that it is important that you find a team of genuine, caring experts. Our Team of attorneys has over 50 years combined experience handling Oregon DUI cases and a dedicated administrative staff that allows them to focus only on the law. Named by the Chinook Indians who first resided there, Scappoose is a city in Columbia County, Oregon, named for a nearby stream, which drains the southern part of the county. The name "Scappoose" is said to mean "gravelly plain." Its nearby cities include Sauvie Island, Warren, St. Helens, North Plains and Deer Island. Scappoose has a nature trail that leads from the city all the way up into its hills. If you hike far enough, you are more than likely to come across a hidden temple or meditation area with statues and art that people have made from the nature around them. 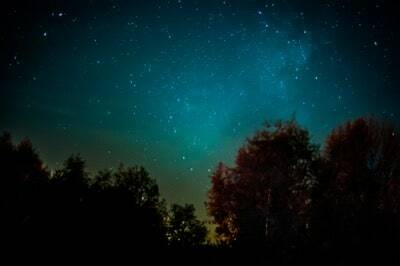 The hills also include places like “View Point” where you can see all of Columbia County and get a beautiful view of the stars at night. 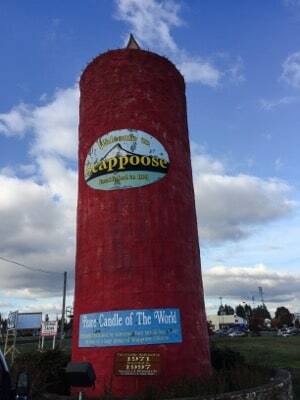 Scappoose used to be known for its “Peace Candle of the World”, which is fifty feet tall and eighteen feet in diameter. It was built in 1971 outside what was then the Brock Candles Inc. factory, which burned down in 1990. The land was formerly a dairy farm and factory owner, Darrel Brock, created the candle by covering a silo with 45,000 pounds of red candle wax to advertise the factory. The candle was originally built with an actual wick. On May 9, 1971, the town's mayor and Oregon Governor Tom McCall lit the candle with a specially-made 60-foot-long match. Due to difficulties in keeping the candle lit during rainfall, the wick was replaced with a natural gas line up the center of the candle to create a real flame at the top. However, due to environmental concerns and high gas bills, the flame was eventually replaced with an electric neon light flame structure. For a period, The Peace Candle of the World was held the Guinness World Record for world's largest candle. The candle is meant to serve as a symbol for the desire for world peace. During the Christmas season the Scappoose Peace Candle is strewn with strands of Christmas lights. If you have been charged with a DUI in Scappoose, call Reynolds Defense Firm. Our team of attorneys have over 50 years of combined experience in DUI law, which puts us in an extraordinary position to help you. Our attorneys have decades of background in working with police officers, judges and other members of court, so they understand when we stand next to our clients in court, we believe in them. If you have already been arrested or questioned and expect charges to be filed against you in court, you should obtain the services of a competent attorney right away. You want to make sure you retain solid representation from a lawyer who specializes in DUI cases and is familiar with the Scappoose courts. The legal system can be overwhelming and intimidating, and the repercussions even more so. You need an attorney who can guide you through the process and provide impeccable legal advice. When you appear in court with an experienced DUI attorney by your side, you’re showing the court that you are taking the charges seriously and understand that any conviction can have a significant and devastating impact on your future. All too often, the impact of a conviction extends far beyond the court room. By obtaining the services and guidance from a skilled DUI lawyer - and quickly - our team can strengthen your case and keep negative consequences minimal. 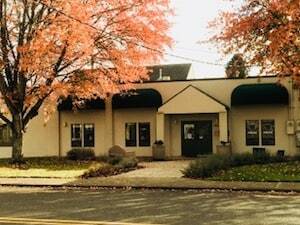 If you or someone you know needs help with resolving a DUI or any other criminal matter in Scappoose, please call Reynolds Defense Firm at (503) 223-3422. We know how important this is to you, so we make ourselves available through chat or text 24/7 and you can also complete an online form on this website for your free initial consultation. We are happy to answer your questions and figure out the best plan for you and your family.